In 8-inch nonstick skillet, melt butter over medium heat. Add peaches, ginger and coriander; stir gently to mix. Cook 4 to 5 minutes or until peaches begin to soften and release juice, stirring occasionally. Stir in brown sugar. Cook an additional 2 to 3 minutes or until sugar is dissolved, stirring constantly. Serve as an accompaniment to ham, chicken or pork. 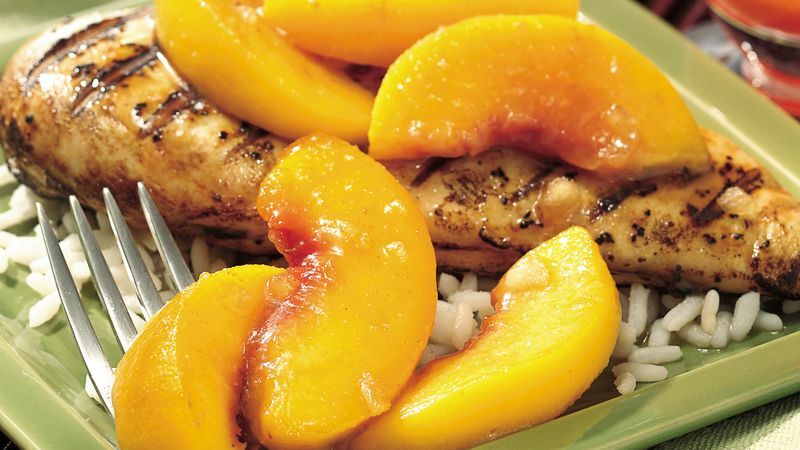 There's no need to peel the peaches for this recipe. To easily cut them, use a serrated knife to carefully cut each peach in half, then twist gently to separate the halves from the pit and slice. You could also use nectarines for this recipe.